Is this game Fun to play? You'll know who am I if i tell you my GunZ character name... You gonna play GunZ soon? Yes, I understand that there no copy right. Thanks for the extra reminder. 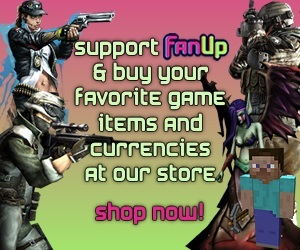 Yes, NyLeiGRAM is very friendly and has provide remarkable support for me and other new fanup members. Thank you, NYLeiGRAM! I'm fine.. I'll play later. I'll just eat. :) You make guides or articles for you to earn fancoins and you can be able to win in weekly leaderboard. Yeah I hope i win something :D I created some excessively long gunz guide and articles.